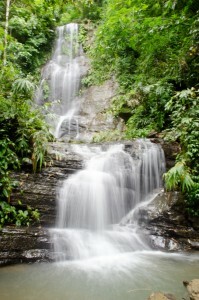 Suptadhara Falls is one of the twp falls in Shitakunda Eco Park. This falls keeps dormant except the Rainy season. If you are there at rainy season, only then, you can enjoy the beauty of the falls with full of water. In the dry season, from the far side of the falls, it will appear that the fall doesn’t have any water. But when you move toward the falls, you can see a glimpse of water which is dripping from the top of it. In Bangladesh, most of the people used to visit Porikunda Waterfall during the dry season, and they found this is of much interesting place for visiting. Few people know about Porikunda Waterfall. 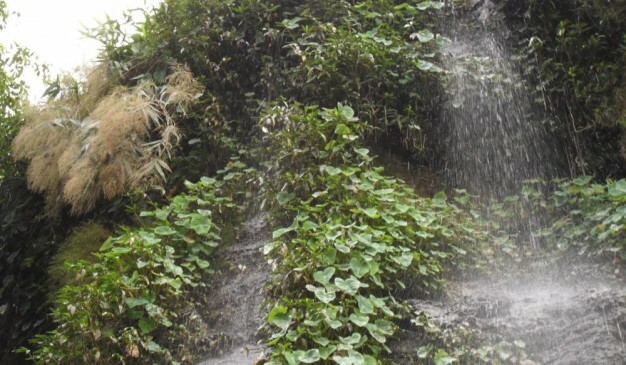 However, those who already have visited the Madhabkunda waterfall and still do not know that there is another waterfall inside the "Madhabkunda Echo Park". Porikunda falls is just before the Madhabkunda falls. Some people think, this waterfall is more beautiful from the main one, the Madhabkunda falls for its silence (except drops of water). People don't used to come there (because they don't know). No chaos from the other tourists (which is available near the Madhabkunda falls). Porikunda falls is much taller, and the amount of water is not that much great, but it used to spread its water over the stones when falling down. And that just gave an outstanding beauty to the waterfalls. Nafa-khum Waterfall (Bengali: নাফাখুম) is located in Thanchi Upazila of Bandarban on the Sangu River. It is among the largest waterfalls in the country by volume of water falling. The wild hilly river Sangu suddenly falls down here about 25–30 feet. 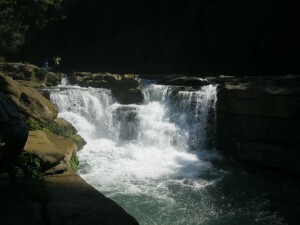 The falls are located in a remote area three hours' walking distance from Remakri, Thanchi Upazila, Bandarban District. Remakri is located three hours by boat on the Sangu River from Tindu, which is itself three hours by boat from Thanchi. Nafa-khum is not very popular as a tourist destination. 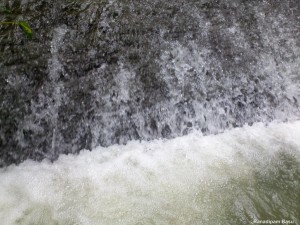 The word "Khum" in Marma language means "Waterfall". A special type of flying fish, whose local name is nating, is found at the bottom in a small cave as they swim against the stream but cannot jump over the height of the fall. 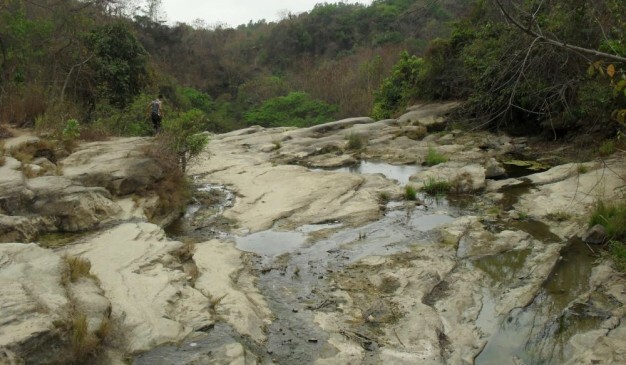 Faipi Waterfall is another waterfall of Bandarban situated in Thaikang Para. 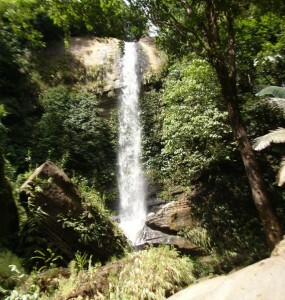 Traveler may go Falpi waterfall by using several route. 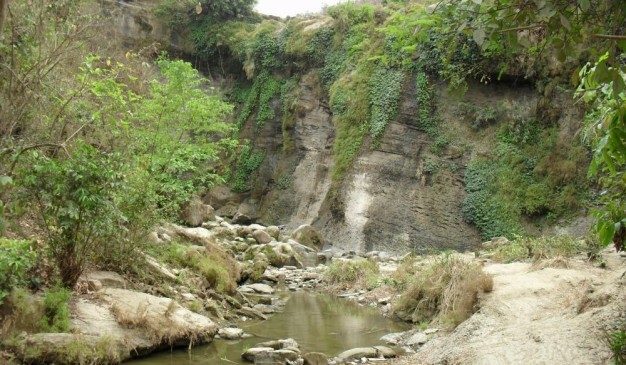 From Thanchi or from Ruma Upazila a traveler may travel to Faipi waterfall. To go to Faipi waterfall a traveler has to go Bandarban first. Then he can go there by using some different route. There are many bus services among the districts of Bangladesh to reach Bandarban. Dhaka to Bandarban it may cost around 550/- Taka (BDT) to the travelers if they travel by any non-ac bus service. The travel buses usually start at night. The bus service providers may offer new schedule as well. It can be around 7-7.5 hour’s journey to go Dhaka to Bandarban. Shitakunda Echo Park has two falls, one is Shuptadhara falls. This falls keeps dormant except the Rainy season.